We frequently receive questions from our email subscribers asking marketing advice. Instead of hiding those answers in a one-to-one email communication, we occasionally publish some of them here on the MarketingSherpa blog so they can help other readers as well. If you have any questions, let us know. Dear MarketingSherpa: I came across your organization because I was searching for data showing which/what kinds of companies and industries care most about well-written marketing copy, in all forms. I am taking on a career shift from many years of Software Engineering and Project Management, and I am targeting B2B copywriting, with a niche somewhere in the high-tech sector. I know that is too general, as just about every company today is facing high-tech challenges whether or not they know it, and I need to go much narrower. Admittedly I am in the early stages of this transition, but I am trying to focus my efforts as much as possible. My thoughts are to eventually produce materials such as white papers, case studies, explainer video scripts, but those require more expertise and track record than blogs, short articles, etc., which is where I feel I could start. At this point I’m very open to any start. I’m planning to get a website up and start posting some blogs on it, but I’m researching how I want to do that, too. But back to Marketing Sherpa — As I make a wide scan of potential clients it occurs to me there will be many people who just don’t care and don’t need clean, coherent, well-organized copy. I don’t need to expend my efforts there. At the other end of the spectrum there should be people in industries where the slightest misstatement or grammatical error can sabotage one’s attempts. That’s where I want to work. I would welcome any suggestions you might have on this point, and since I am still such a green twig in this new field, any other counsel would be great. Do the ideas I have laid out above sound sound? Dear Rob: Thanks for your question. If you’re looking to break into B2B copywriting, the number one skill set you must prove is that you can write effective copy. And the clearest way I know to do that is to write effective copy. Here are a few ideas to get you started. You’re on the right track with your idea to start a website and begin blogging on it. You’d be amazed how many aspiring writers I interview who don’t do this. When I was just starting out, you had to work hard to build your book (portfolio). Try to find an internship or nonprofit or anyone who would let you write for them. Sure, you could do spec work. But that wasn’t nearly as valuable as having real published work for an actual client. Today, you can publish to the entire world with the push of a button. Yes, in some ways it’s still spec work. But unlike a dot matrix printout hidden in my giant black portfolio, your blog gets exposure to the world. You can share it on social media. You can look at the analytics to see who’s reading it. You can solicit comments. You can attempt to interview people on your blog. So, by all means, do it. Start that website. Start that blog. Get yourself out there. Words matter. Both for their denotation (to ensure prospective customers understand your advertising) as well as for their connotation. 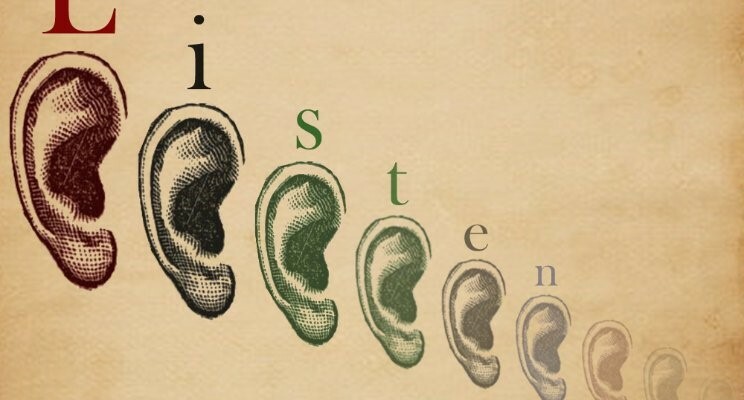 To truly speak our customers’ language, we must listen to them because our customers may be very different from us. We frequently receive questions about marketing advice from our email subscribers. Instead of hiding those answers in a one-to-one email communication, we’re going to start publishing some of them here on the MarketingSherpa blog since they may be able to help many other readers. And if you have any questions, let us know. 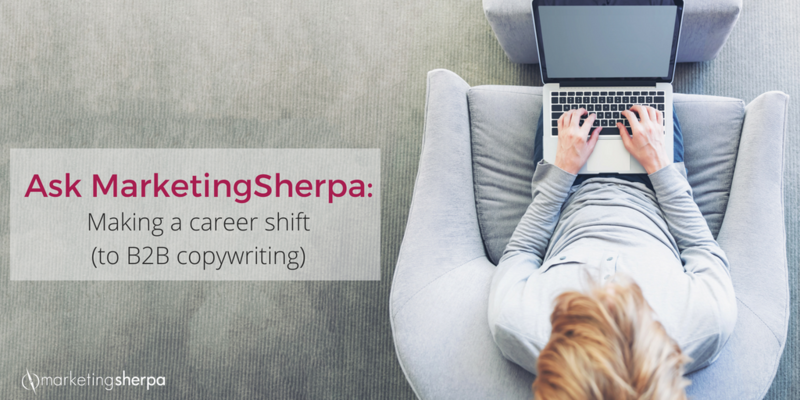 Dear MarketingSherpa: I wanted to ask you what would be the biggest advice you would give to a non-native English speaker who wants to develop outstanding copy writing. Dear Reader: We’re all non-native in some way, right? When I started working as a contracted consultant to IBM, I didn’t speak their language either. It was my first tech job, and that industry (like every industry) has a language all its own. So the best advice I can give you is to immerse yourself in English, especially its use in whatever industries you want to write for. Subscribe to respectable English-language newspapers and consumer and industry magazines and read them daily. Read not just the content but the advertising. Do the same with English-language blogs, websites, forums, social media, etc. Also, run tests on your writing whenever you can to help understand what language most resonates with the ideal prospect. Here’s an example — Test Your Marketing Intuition: Which PPC Ad Produced More Conversions? When we ran that test, we didn’t know if the term “AccuraScope” would resonate with the ideal prospect. So we tested to discover the best words to use. Best of luck with your copywriting career. You can follow Daniel Burstein, Senior Director, Content, MarketingSherpa, on Twitter @DanielBurstein. Subscribe to MarketingSherpa to get the latest case studies and data on content marketing along with updates and promotions. In my four years at MECLABS Institute, the parent company of MarketingSherpa, I’ve held a few different roles on the Editorial Content team. However, my very first role was junior copy editor. Having been there and done that, it provides me a unique perspective to manage our current copy editor, Shelby Dorsey. It’s a unique role. No one seems to know you’re there until you mess up. I can still remember that first email forwarded to me after a director in the company found a small mistake I overlooked in a newsletter send. It was horrifying. Recently, Shelby and I have set out to help improve some of the processes around the copy editing role, and I know we aren’t the only ones who need help streamlining this area of marketing. First on the list was increasing the turnaround times for the various content pieces. It’s with this quote that I started a simple, but detailed internal PowerPoint deck outlining the copy editing process, requirements and timelines. To help you implement or improve your own copy editing process and procedures, we’re giving you an inside look at that deck. Ah … the ambience of a blank white computer screen. I am staring at one right now. There are the days when this glow speaks freedom and fresh opportunity and I take it. But then, there are those days, like right now, where the glow feels more like an impenetrable force field. Although I’m not a great author, it’s a comfort to know that I am not alone in suffering from terrible writer’s block. 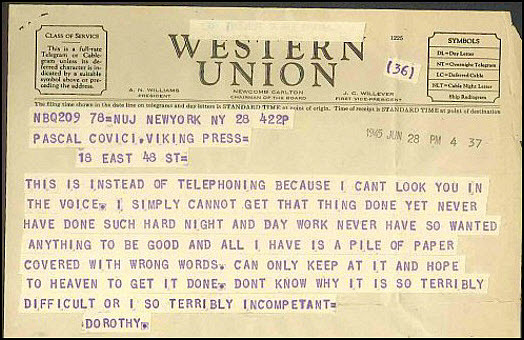 Dorothy Parker, who wrote hundreds of poems and short stories, sent this note about it to her editor in 1945. So what do I do when I know I have something to say, but I just can’t get it into words? Should I start scouring the Web to find something interesting to comment on? Or should I just rehash something that I have thought about or written about before? Or, the most tempting, do I just give up and hope my muse shows up tomorrow? I’m not going to lie — all those methods can work, and have worked for me in the past. However, there is one particularly useful approach that I have learned over the years for dealing with content writer’s block, particularly when you are on a deadline. Because — face it — as much as we would like to let creativity gently come to us, sometimes we have to go and take it by force. When I first started at MarketingSherpa, I was hired under the title of “Visual Storyteller.” Although that title is ambiguous, I learned that I was hired to address a pain point that many professionals face: using PowerPoint efficiently. My title has since changed, but I remain an advocate for fluent visual expression in the same way that editors are keen on using words efficiently. As part of my position, I’ve consulted with many speakers over the past few years on creating effective presentations. Time and time again, I find that confusion lies in how to treat PowerPoint. Many think of PowerPoint as a presentation buddy — that content is on the slides and coming out of the speaker’s mouth and bullet points are simply needed to reinforce the speaker’s message. This is not true. A person can only process about 1.6 conversations at a time. He can choose to either listen to you or read your slides. The other .6 gets split between emails, texts and interior monologue, to name just a few other channels. 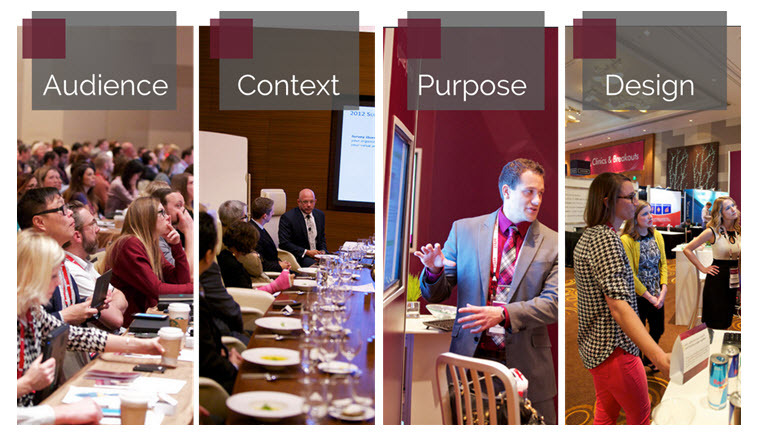 The dictators of any presentation include: audience, context, purpose and design. New products make it incredibly difficult to write effective copy. Most of the time the customer coming to the page has no idea what the product is or how it works, but more importantly, they also have no idea why it matters for them. I don’t know if you caught it or not, but they spend a full 43 seconds of their 1:52 second video building to the problem. Out of all the problems built in copywriting, video or otherwise, this one is one of the best. So what do they do to build their problem? 1. They have a clear objective. You can’t begin to build a problem without a map to the overall objective. The objective of this video is to introduce the product and get people poking around on the website. Without an objective, you might just be building a problem that you’ll never be able to help your customers out of. In copy editing, there’s always something new to learn. In the past few months since writing my first post on editing, “Content Marketing: 7 copy editing tips to improve any content piece,” I’ve had the chance to sit down with members of the Content Team at MECLABS and develop an updated company style guide. Also, I was given the opportunity to move into the role of editorial analyst and have had the privilege of reviewing candidates for a new copy editor (we’re still looking if you’re interested). All of these changes in my current role have made me reflect on practices and techniques I naturally developed over the past year. I’ve taken lessons learned from mistakes, tips from colleagues and from my own experiences in editing and found that you never really stop learning when it comes to perfecting your content. Ultimately, anything used to create content needs to be vetted in the editing process. To help keep your mind focused on the things you need to be looking out for, make checklists for yourself to ensure your editing covers all of the key elements in the piece. Write them down and pin them to your cubicle wall or set reminders to refer back to while you’re editing, especially if you’re editing content that is particularly lengthy. Checklists are also helpful when you’re implementing something new in your process. This can help you start remembering to include it in your daily routine. As an editor, you have the power to change content as you see fit. The tone, context, word choices and everything else is in your hands. The author’s need for a distinct voice. The audience’s need for content that’s relevant to their interests and useful to their needs. Respecting the author’s voice involves keeping it intact throughout. Good editors can spot who wrote an article without looking at a byline. Everyone has their own style of writing in the same way everyone has their own way of speaking. While there may be changes for clarity or if something is just plain incorrect, editors should not go out of their way to remove the author’s unique voice from a piece. This could mean removing an opinion if the article is not a subjective piece, but their style of writing should not be completely muted if it is not interfering with your editorial guidelines. The second group you must respect is your audience, and the way to do this is to know them. One way to do this is by reading the feedback you receive in your comments section. If people are expressing confusion or want to know more about a topic, address their needs by working those concerns into your next article or blog post. As I’ve learned, one of the fastest ways to lose an audience is when using jargon. You may have a cozy understanding of it, but your audience doesn’t. Do not include acronyms, terms or phrases that readers could be unfamiliar with. Instead, use a brief explanation and hyperlink to content that will help them gain a deeper understanding of the concepts. Run into terms not in your stylebook? Author using a phrase you’re not familiar with? Don’t just guess – search! In marketing, there are quite a number of terms that don’t have standard spelling or punctuation. Words like e-commerce, website, webpage, e-book and other Web terms (even the word “Web” itself) have different ways of being referenced. You can set style standards for these, however, once in a blue moon, you will encounter something new that you need to make a decision on. To help keep our decisions consistent, my team just wrapped up a revised version of our company style guide. In its 32 pages, we attempted to cover our usage of words that differ from how other companies typically use them. We added some things and threw some things out. For anything not covered in our style guide, we default to the Associated Press Stylebook to cover our bases. My point here is instead of just picking guidelines at random, think of how your company uses certain words or phrases and search for those terms online to see how others are using them. Bulleted lists are great when you have a list of items too long for a sentence, or just need to separate thoughts to get your point across. When making lists, be sure to keep your style in those lists consistent. This could mean choosing whether to make your lists complete sentences or not, ending them in punctuation or not, or maybe choosing a tense to stay in. We should be holding conference calls every week. Do You Make These 5 Mistakes in Content Marketing? It’s the start of a new year. We’ve made resolutions to fix mistakes we make in our diet, in our exercise frequency and in our relationships – put content marketing on your list as well. Sure, your company is engaged in content marketing because it has a message to get out in the world. But nobody, except maybe your agency and brand police, cares about that message. They care about themselves. Content marketing is inherently permission-based and inbound. Your content marketing needs to focus on what the customer really cares about. The headline for this blog post was (lovingly) ripped off a legendary, high-performing ad for Sherwin Cody’s English course. That rings even more true in content marketing. Local TV news promo commercials are the worst. They always hint at something of value, but only deliver if you tune in to the newscast. Content marketing should, in and of itself, deliver value. It should help fulfill a customer need. It should help solve a customer’s trouble. No content is an island. How does the content you’re creating tie into every other way your company is communicating? Ideally, you would have an overall structure for your content with logical paths for the reader to follow. Those paths aren’t always linear since human decision making in a data-rich world is not linear. However, they offer logical progressions and opportunities for further engagement through channels that your audience already uses. The people in your company are likely brilliant at something. Your software engineers are brilliant at de-bugging Java. Your project managers are brilliant at scheduling. Your audio engineers are brilliant at sound mixing. They’re just not brilliant at creating content. Because of this, your company’s brilliance is hidden. By using content marketing to pull back the curtain and shine a little light while not being overly concerned with corporate secrecy, you show the world how the brilliant people in your company can help members of your audience overcome their challenges. Creating intriguing and relevant content is key to successful content marketing. Creating content is one thing, improving it through copy editing, however, is another step in the process. I say this because content becomes less effective with each glaring error. Depending on the circumstances, those mistakes are perhaps even costing your organization revenue as customers look elsewhere to shop. Do you want to spend your time deciphering information riddled with grammar and spelling errors? Well, your readers certainly don’t and why should they? Why should they take their time to untangle a web of errors and inconsistencies in a content piece in order to understand the message? They will simply move on to something else that is polished, clear and professionally written. Luckily in the digital realm, minor mistakes can be caught after a blog post, article or social media post is published online and can be seamlessly fixed. However, some diligent eyes can spot errors before critics take to social media and immortalize a glaring typo. 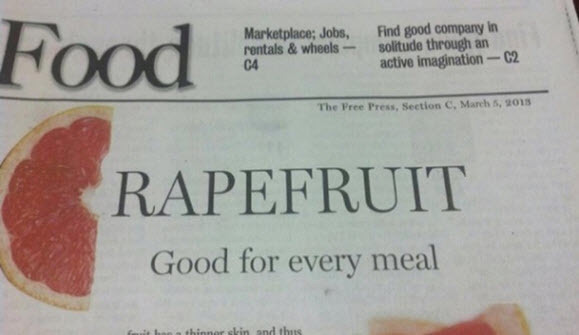 For example, the Mankato Free Press was not immune to criticism when a creative, but poorly designed page slipped past copy editors and startled readers while enjoying their breakfast. As the copy editor at MECLABS, my job revolves around editing everything from blog posts, articles, landing page copy, marketing materials and many other essential pieces of content for MarketingSherpa and MarketingExperiments. The insights in this post revolve strictly around copy editing to help you focus on improving the accuracy of your text, not editing, which is designed to help you improve the organization of your content. Read on for seven copy editing tips you can use to improve the quality of your content. When copy editing, consistency is very important – so pick a style and stick with it. Establishing style standards early on will help keep all the content you produce uniform across different formats. At MECLABS, we devised a Stylebook that incorporates elements of AP style and stylistic preferences unique to our company. For instance, some of the most common words and phrases utilized in our content appear in the Stylebook reflecting MECLABS’ usage. Words like clickthrough, call-to-action, homepage, e-commerce, Web (always capitalized) and others have a specific way of being spelled or capitalized preferable to us that may not be used the same grammatically or contextually elsewhere. Not everything can be covered in a company style guide, so having a secondary resource such as the AP Stylebook on hand is essential for finding those words and phrases you may not know how to utilize correctly in a piece. For other aspects of writing, such as headlines, consistency is also extremely important. Editors tend to decide what words are used in a headline, so your stylebook should include style preferences for headlines, to help editors keep those copy decisions consistent. Also, try to make considerations in your Stylebook for any additional content you may have that will need formatting guidelines and make sure your content team understands and adheres to those standards. The very first step of copy editing is reading through content to make changes. Reading silently to yourself is a good way to start, but taking it to the next level and reading a piece aloud will help you catch more errors and hear how the words and sentences flow together. It may also seem like common sense, but reading it aloud conversationally is not enough to catch mistakes. By reading slowly and articulating each word, you are more likely to spot grammar and spelling mistakes that your word processor might have missed. Attention spans are shorter than ever, so keeping length in mind while editing is also extremely important. By keeping sentences concise, you will captivate readers by making every word count. When possible, delete extraneous words from sentences unless they impact the integrity of the overall meaning. For example, the word “that” is often used as a crutch word and can be eliminated in most cases. Hitting the “publish” button is not the end of a copy editor’s work day. Even after a vigorous round of editing, mistakes can still fall through the cracks. This is why taking one more look at your content after it’s published is a great idea. As I mentioned earlier, digital publishing in most instances is a lot more forgiving than print. Once you publish content in a print medium, the words and any mistakes you may have missed are stamped onto the pages of your publication and into history. One example I can think of recently was the misspelling of the word “Marketing” as “Makreting” on the spine of a printed publication. Luckily, the error was caught before a large pressing of the misprints was ordered. Consequently, although something may already be published, some minor changes can still likely be made if needed before the majority of your audience engages the content. 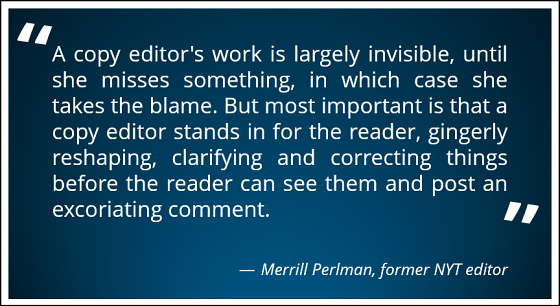 (Most) copy editors love to write, but reviewing your own content can be problematic, and should be avoided unless there is absolutely no other option. Therefore, having another set of eyes on your piece can catch errors you would probably miss as the writer. If others proofing your work is not an option, putting the finished product aside for a few days can help you get out of “writer” mode and into “proofing” mode. Also, the content isn’t nearly as fresh in your mind, so you’re more likely to catch mistakes. This may seem a little strange, but the best tips usually are. From my experience, going through content one sentence at a time backwards is a surprisingly great way to catch problems in the copy. Incorrect punctuation, extra or double words and other issues that might have been skimmed over normally, can be singled out quickly by reading it backwards.